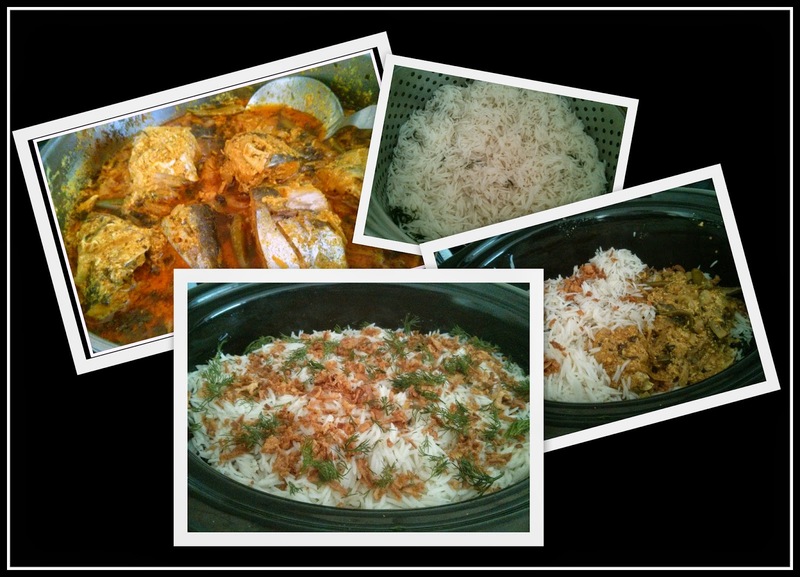 Story: Ever since I started cooking fish at home, I have been eyeing the Shan Biryani Masala packets in the groceries. Not sure why.. but it took me years before I finally picked it up last week.. and it was super hit with our friends and family. 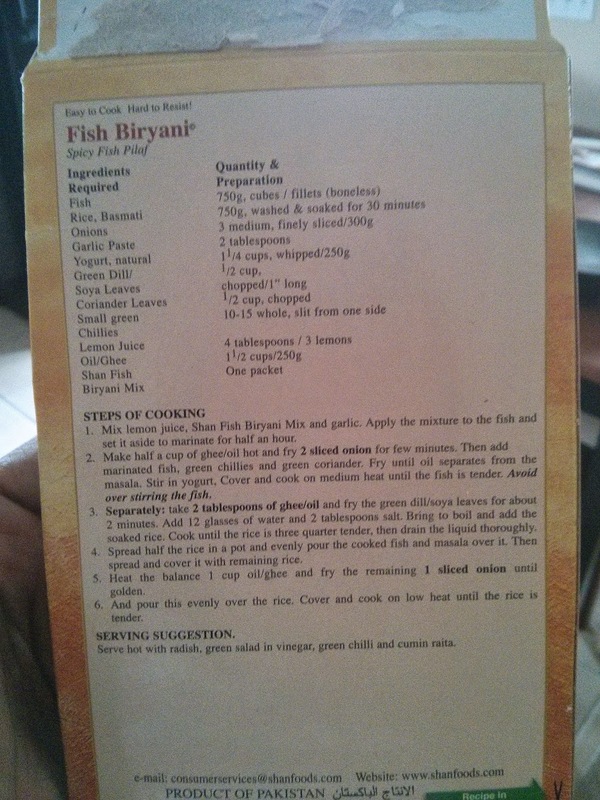 As I started reading the recipe I was confused by the mention of Soya leaves.. I was thinking Soyabean leaves? But then it said Soya/Dill? So as usual I Googled the term 'soya leaves' - to find that Soya in Punjabi is the same as Shepu in Marathi is the same as Suva in Gujarathi and Dill in English. Whatever the name - the beautiful aroma was the same..